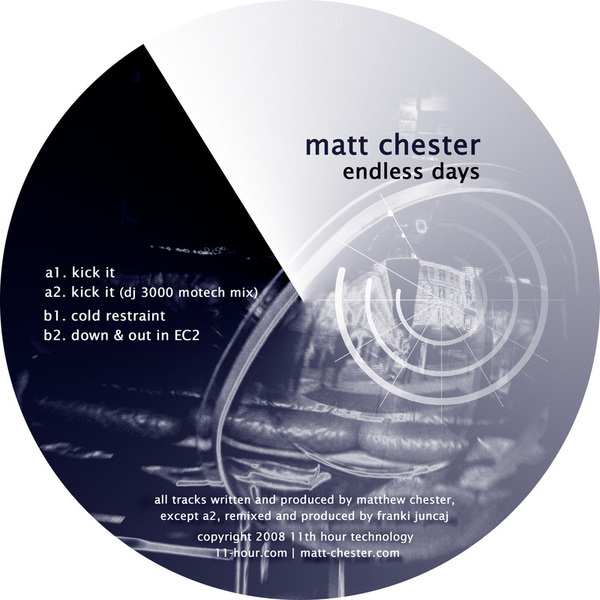 Bashy but emotive Detroit influenced tech/electro from UK based producer Matt Chester, reviving his 11th hour label after a two year hibernation. 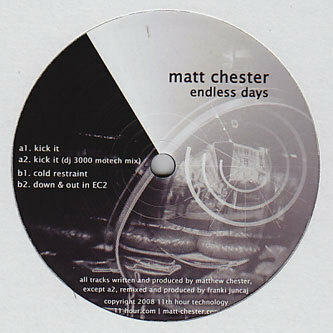 The big track is 'Kick It', a phat Electro track powered by techno style kicks syncopated with an ounce of 313 electrofunk and deep fried synthlines. Franki Juncaj aka DJ 3000 prived a far more sedate but synthfunky remix, and on the flip Chester ratchets up two more chunky electro prototypes. Fans of electrobass and hefty synthlines need apply.